St. Mary Magdalene is a beautiful church in the Bay Park section of town. It was built in 1957 in a traditional style, and has wonderful views of the bay. The parish is pretty wealthy, and the church has a rectory and large auditorium. 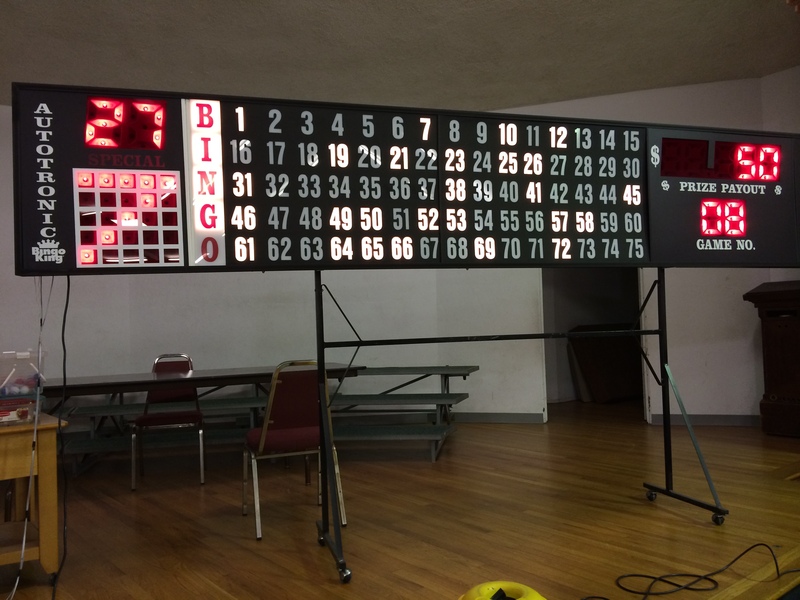 We checked out the weekly bingo Tuesday bingo game tonight, which turned out to be very professionally run. There were three big electronic boards on the auditorium stage, a hundred+ players, snacks, and even dinner before the games. I wish my parish (St. Joesph’s Cathedral on 3rd & Beech) had anything like this.